Vets First Choice is part of a cluster of animal health companies around Portland that also includes Idexx Laboratories and ImmuCell Corp. If its merger with New York-based Henry Schein's animal health division is approved by regulators, it will be the largest public company among the three animal health firms, and the largest non-bank public company in Maine. Ben Shaw, CEO and co-founder of Vets First Choice, a Portland-based online portal for veterinarians and their clients to order pet prescriptions and other products, plans to merge with a New York animal health business to become one of Maine's largest companies. Two fast-growing animal health companies in Maine are bringing more convenient services to pet owners and helping bolster an already strong cluster of veterinary companies in the state. Vets First Choice of Portland, an online portal where veterinarians and their clients can order pet prescriptions and other products, said on April 23 that it expects to become Maine’s largest publicly traded company, aside from banks, when it completes a planned merger this year with the animal health unit of distributor Henry Schein of Melville, New York. The merged company would have sales of about $3.6 billion. “This will be a very significant publicly traded company headquartered in Portland,” Ben Shaw, CEO and co-founder of Vets First Choice, said. The company has more than 800 employees, about 200 of them in Portland. The company’s portal is used by 5,100 veterinary practices worldwide, including about 125 in Maine. It also plans to expand with a $20 million corporate office and specialty pharmacy center in Portland. Construction is expected to begin this year at an unspecified location, Shaw said. The new building will include an automated fulfillment center. Shaw said it could eventually employ 250 new pharmacists, chemists and other technologists. The company will focus on more tightly connecting veterinary product manufacturers, veterinary practices and pet owners. It will use computer analytics to help veterinarians and pet owners improve how owners give their pets prescription medications, for example. Owners can receive reminders that refills are due. Veterinarians can order prescriptions or special foods through Vets First Choice’s online portal, and those items can be delivered to the pet owner’s home, Shaw said. And Idexx Laboratories of Westbrook, the current largest veterinary health company in Maine, said it plans to add 135,000 square feet by late 2019 that could hold 600 employees. It plans to break ground on the new space this month. The space will include an interactive demonstration lab where customers and visitors can explore the company’s diagnostic and software technology. If things go according to plan, Vets First Choice could have almost double the revenue of Idexx, a company founded by Ben’s father, David Shaw, in 1983. David Shaw also co-founded Vets First Choice in 2010 and chairs its board of directors. Idexx in February reported its revenue rose 11 percent in 2017 to reach $1.97 billion. It expects another 12 percent rise in revenue in 2018, according to CEO Jonathan Ayers. The company has more than 7,000 employees worldwide, with 2,500 of those in Maine. Both companies are part of a cluster of veterinary health firms in greater Portland. The state government, private organizations and companies have proposed clusters, with varying degrees of success, as a way to boost innovation in Maine and grow jobs and the economy. The two other animal health companies are ImmuCell Corp. and Putney Inc., which was acquired a couple of years ago. ImmuCell, which makes treatments for lactating cows, had $10.4 million in revenue in 2017, up 9 percent from 2016. It has 47 employees. The company completed a $20 million expansion in 2017. And Putney, which makes generic veterinary products, was sold for $200 million in March 2016 to a subsidiary of UK-based Dechra Pharmaceuticals PLC. From its beginnings, Vets First Choice grew quickly in both employees and the amount of investment it has attracted. In the third quarter of 2017, it raised $223 million, Maine’s largest single venture deal in the past two decades. The transaction ranked 10th among total U.S. venture capital deals in the third quarter in the quarterly PricewaterhouseCoopers and CB Insights report released last October. The amount of money also helped put Maine on the map for out-of-state investors who traditionally looked to California’s Silicon Valley and to Massachusetts’ Route 128 corridor and Cambridge for promising new companies. With limited funding available inside the state, Maine companies are increasingly relying on investors and partners outside the state to reach larger markets and gain financial resources to grow their businesses. 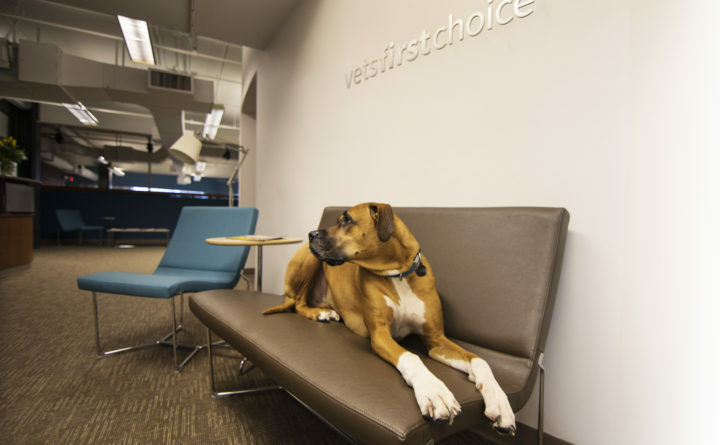 Vets First Choice got its large funding primarily from private equity firm Clayton, Dubilier & Rice of New York and investment firm Hillhouse Capital Group of Beijing. 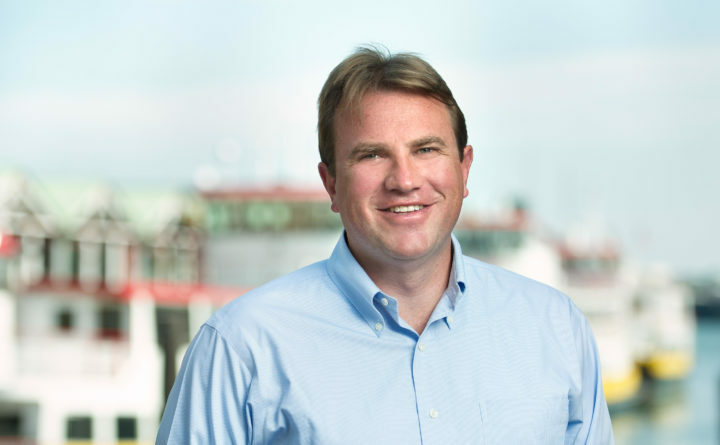 Ben Shaw said at the time of the investment that he needed to seek money from outside Maine in order to grow in Europe, Asia and the United States. Such a large fundraise is frequently seen in the investment community as a step toward a company going public. That’s exactly how Vets First Choice is using it, Ben Shaw said. But instead of going directly to the public markets, he decided to merge with the Henry Schein group, which has complementary products and services and an extensive international network. “There is a lot of benefit and value to our customers and to us with the opportunity to leverage Henry Schein’s global operations,” he said. As part of the agreement, Henry Schein will spin off its animal health business, which in turn will merge with Vets First Choice. The combination will create an independent public company called Vets First Corp. Henry Schein shareholders will own about 63 percent of the new company and Vets First Choice shareholders about 37 percent. Ben Shaw will remain CEO of the new company and David Shaw its board chairman.